Given the rapid pace of today’s business world, it is crucial to have effective and efficient communication among team members. 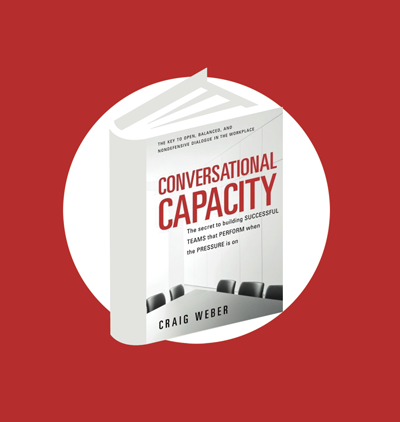 In Craig Weber’s book Conversational Capacity, the author describes several key strategies to ensure that a team communicates in a productive manner. Conversational capacity, defined as the ability to have open, balanced, and nondefensive dialogue about tough subjects in challenging circumstances, allows a team to make informed and effective choices. In addition, it promotes an expanded awareness of differing viewpoints, encouraging participants to “lean in” to others’ views. When executed effectively, these conversations increase participation of all team members in the decision-making processes, enhance commitment to the organization, and reduce the tendency for leaders to overexecute on their decisions. Weber describes the achievement of conversational capacity as similar to finding a “sweet spot” that requires the participants to find a balance between conversational candor and curiosity. Candor, or straightforwardness, promotes the direct sharing of a viewpoint, while curiosity encourages the participants to explore the viewpoints of others. Most people tend to display dominance in one of these two styles, establishing their conversational tendency. Those who demonstrate strong candor often gravitate toward a winning tendency in conversation. Weber describes this personality as one where curiosity gives way to certainty. The other conversational tendency is toward minimizing, one in which candor gives way to caution. 1. State a clear and concise position in one or two sentences. 2. Explain the rationale behind the viewpoint using observational, anecdotal, or measurable data. 3. Test the viewpoint by seeking constructive feedback from others. 4. Inquire actively into the views of others. Implementation of the strategies for conversational capacity requires that all team members buy in to the new technique and readily practice it. Weber suggests reflecting on your own conversational style first to determine your tendencies. 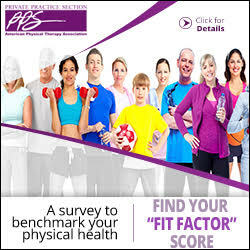 Then practice on one skill at a time, allowing time to assess your performance. It is important to remember that not all conversations will require scrutiny of such intensity. Consider using this technique only for decisions that are difficult or important to the organization. When practicing as an organization, consider videotaping a staff meeting or utilizing a group facilitator to optimize adherence to the four steps. Regular use of the strategies offered in Conversational Capacity will ensure your team communicates effectively in difficult situations promoting more productive meetings and reducing inner-office politics. In addition, the strategies offered in this book have the added benefit of improving personal communication, enhancing your relationships both in and out of the office. Carol Slack is the office manager of Action Potential in Glen Mills, Pennsylvania, and an Administrators Council member of PPS. She can be reached at cslack@reachyours.com.